For stylish travelers, finding the perfect carry-on bag is a must. Everyone knows that when it comes to suitcases, having one that is functional and can hold all your clothes, beauty products and souvenirs is a must. The downside to functional? You usually end up with a bland piece of luggage that says nothing about your personality. 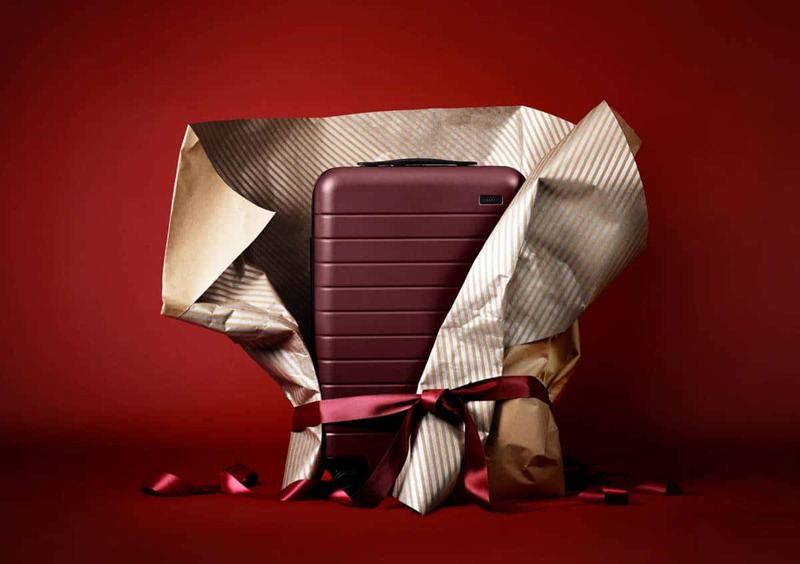 So what do you do when you’re looking for the perfect gift for a traveler that likes to be functional and stylish? Enter the Away suitcase. This isn’t your average piece of luggage, it speaks to different personal travel styles and needs, and its thoughtful design solves real travel problems. Basically, it’s the best of both worlds. Away carry-on suitcases act like a home away from home with two storage compartments, one designed for clothes, the other for shoes, and toiletries, and even a nylon laundry bag for dirty clothes. 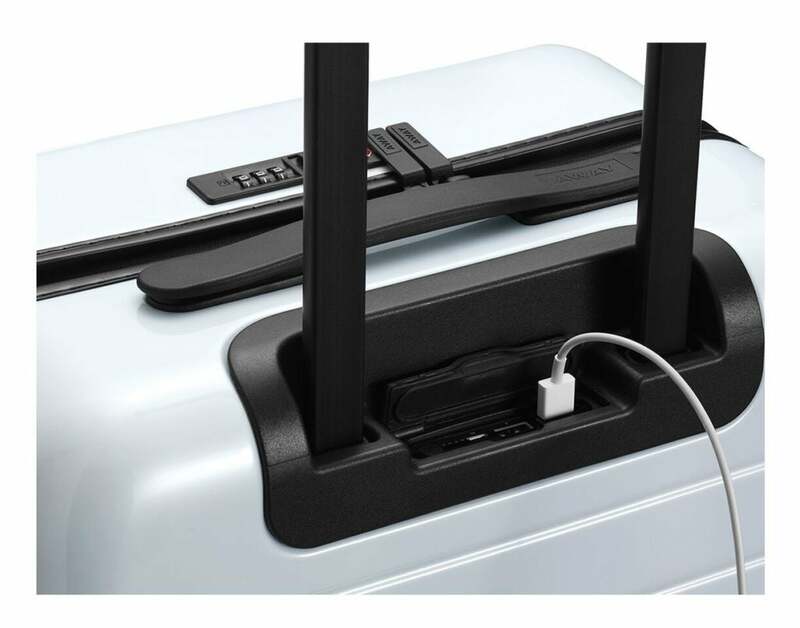 It also acts like a power outlet in-between outlets with an ejectable battery that can charge any phone up to 5x, so your favorite traveler will always be able to check maps, email, or simply catch up on their favorite shows during layovers. 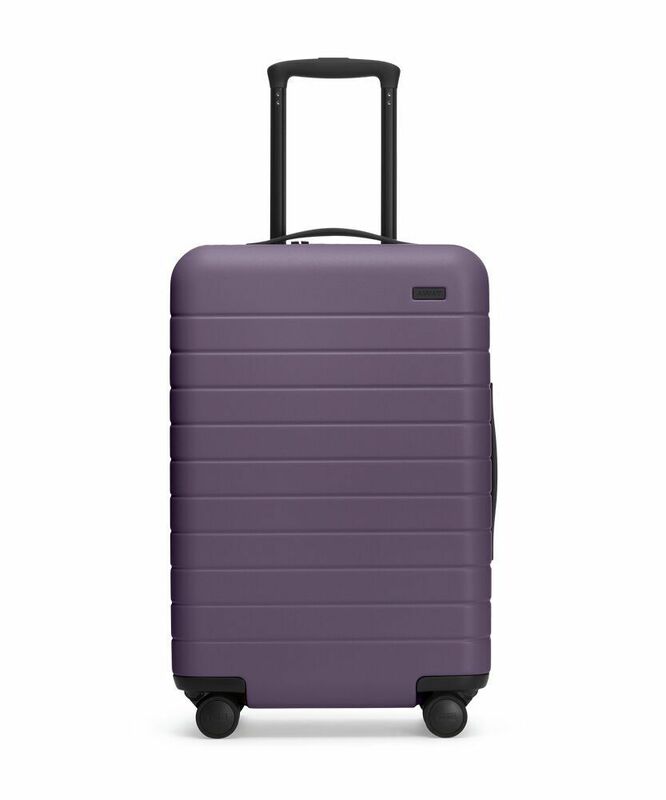 It also comes in twelve fun colors like violet, blush and halo, so their suitcase and favorite travel outfit can always coordinate – and so they can always see their Away coming at baggage claim. Need it a bit more personalized? Add their initials or some fun stickers to show help show off their personal style even more. Away carry-ons are the only suitcase we’re giving to our jetset friends this year, and you should too!